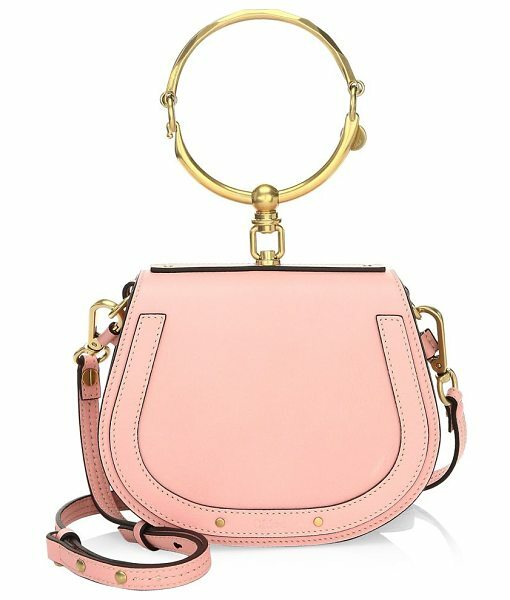 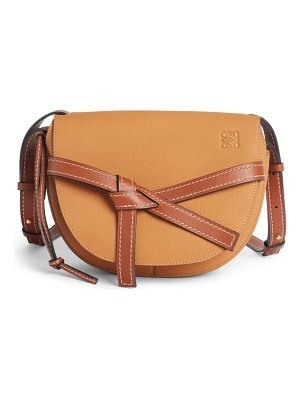 From the Saks IT LIST THE SADDLE BAG An equestrian influence takes hold of the go-everywhere shape. 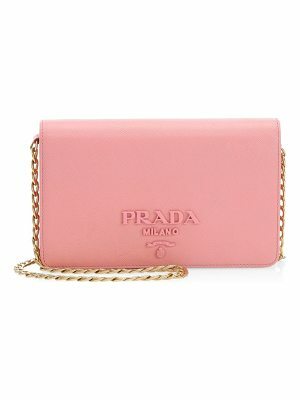 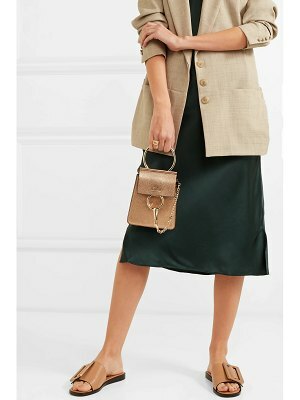 Elegant shoulder bag crafted from soft leather Ring bracelet handle Removable, adjustable shoulder strap,19"-22" drop Snap-flap closure One exterior slip pocket One interior slip pocket 7.75"W x 6.25"H x 2.5"D Leather Made in Italy. 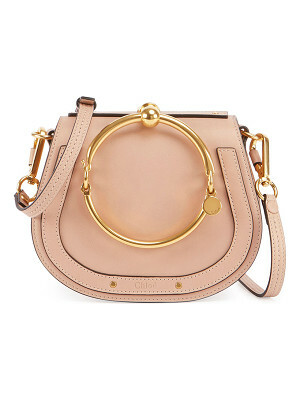 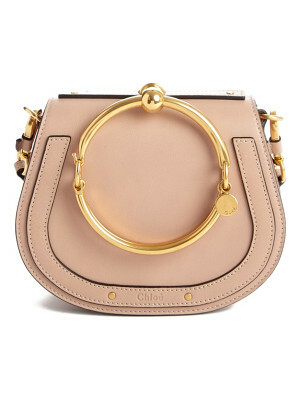 Handbags - Chloe Handbags. 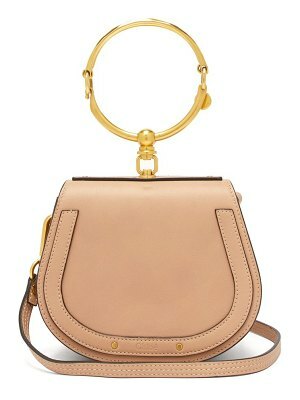 Chloé. 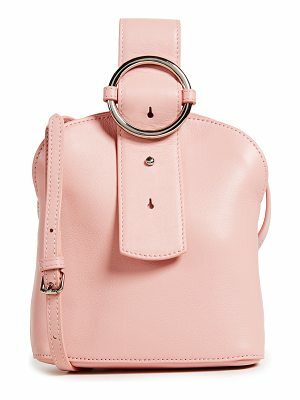 Color: Pink.